Back in September Janel came home with a surprise for my birthday: she had signed me up for a writing workshop. We were new to the area and she had done her research, sending me off to the Decatur Book Festival, "the largest independent book festival in the country". I hadn't written much of anything since Cara died and I think it was her way of nudging me back into it. She had found a workshop called "Writing Through Grief" led by a local author (Jessica Handler) and she instructed me to buy a book while I was there. The workshop was good for me -- even thinking about writing for the length of the workshop was helpful, and the simple free write exercise that we did was the longest that I had sat to write fiction in over a year. 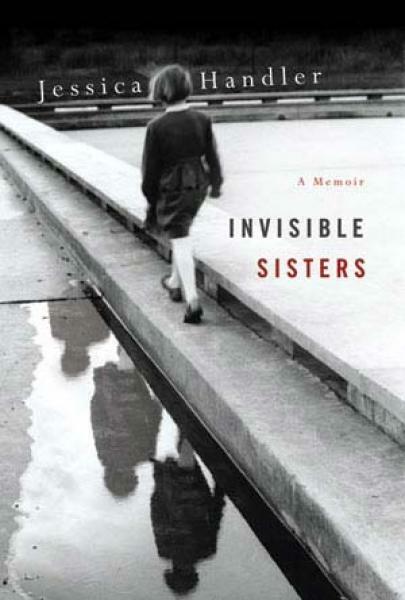 All that to say I finally read Jessica Handler's memoir, Invisible Sisters. It was fascinating to read the book after having been dropped largely clueless into the workshop. I could pick out distinct themes that had been mentioned in the workshop and fill out some of the sparse family details that she had hinted at. I'm thinking of the concept of tikkun olam, or "repair of the world", and the character of her father, who had dedicated much of his life to trying to fix problems for others but in the end couldn't deal with the fallout of tragedy within his own family. I could visualize Ms. Handler leaning over mounds of letters, photographs, newspaper clippings and medical records as she researched and wrote, sorting memories and detritus from her own story. She was the self-appointed "curator of a family archive" laying out raw artifacts of her life, her fierce love for her sisters, her pain, and ultimately a kind of hope -- perhaps that tikkun olam can also be experienced in her own life. "...we were searching for ourselves, and for answers. How would we be different if we had grown up free of the shadow of loss that stalked us? What would we have been like as a family?" "The grief that comes from separating the living from the dead is acknowledged in a ritual at Jewish funerals, when mourners tear their garments or wear black ribbons cut in two...Ritually broken, we wore proof of our two-sided selves, living people then and now, before and after." "Talking about death is like admitting you have wet yourself. Death is embarrassing: a failure. Death is indecent...I have read that because so few people have been to the moon, astronauts have found that they can fully connect emotionally only with other astronauts..."